This house has been completely renovated from the inside out. When you walk into this home you are greeting with freshly stained hardwood floors and freshly painted walls in the Great Room that is open and filled with natural light. The renovated kitchen is equipped with stainless steel appliances, white cabinets, granite counter tops and tile floor that gives the space a modern feel. There is space for additional storage or a table and chairs in the kitchen. The spacious master bedroom has brand new hardwood floor, double closets, and three windows that bring in lots of light. The other two bedrooms have hardwood floors and generous closets. There are two fully renovated bathrooms with new tile surround tub/shower, new vanity, new toilet and beautiful new tile flooring. 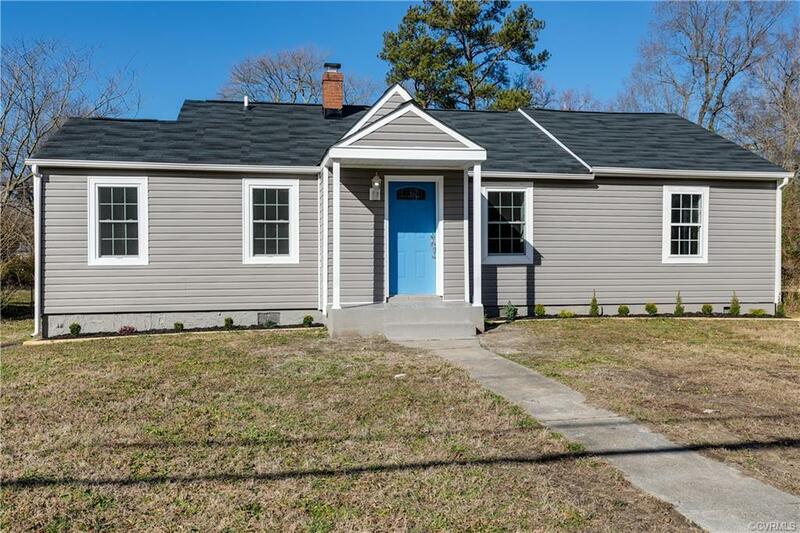 With new vinyl siding, new composition shingle roof, new HVAC, and new Hot Water Heater this house is the definition of move in ready! On a generous lot, with easy access to I95 we present this handsome home on Enon Church Road. Directions: Route 10 Heading South Towards Hopewell, Turn Right On Enon Church Road. House On Right.